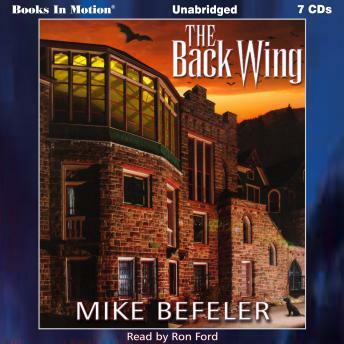 Grieving widower Harold McCaffrey moves into the Mountain Splendor Retirement Home and finds himself living in the Back Wing with a group of strange residents -- aging witches, vampires, werewolves and shape-shifters. He bonds with his fellow denizens, especially Bella, who has promise of becoming more than just a friend. Things are looking up for Harold -- until he and Bella must use all their normal and extra-normal skills to solve two murders in this very unique retirement community.